Neyiappam refer to a sweet and fluffy rice fritters from Kerala, India. Neyiappam is also spelled as Neyyappam. It is a popular sweet snacks from Kerala which is made from a mixture (batter) of rice flour, ghee (clarified butter), and molasses (jaggery ) . 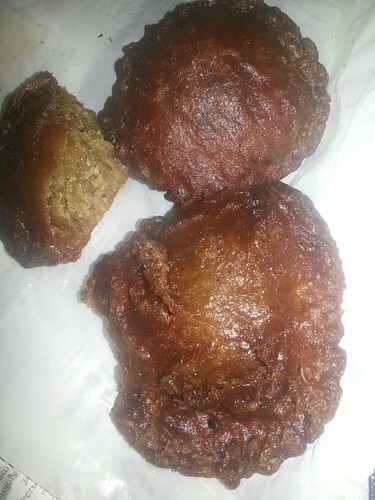 It is fried by pouring the batter in the traditional cast iron mould called Appa Karal or Appakaram. They are usually used as an offering for temples in Kerala. In Malayalam, Ney means "ghee" or clarified butter and Appam refers to "small rice cake". Neyiappam is also spelled Neyyappam. Malayalam is the language spoken mainly in the southern Indian state of Kerala by about 38 million people.